Home › News from Members › news from members: Spring is in the air at Scarabeus! news from members: Spring is in the air at Scarabeus! We’ve had a busy spring term! We’ve had a very busy spring term – take a look below at our highlights from the last few months! 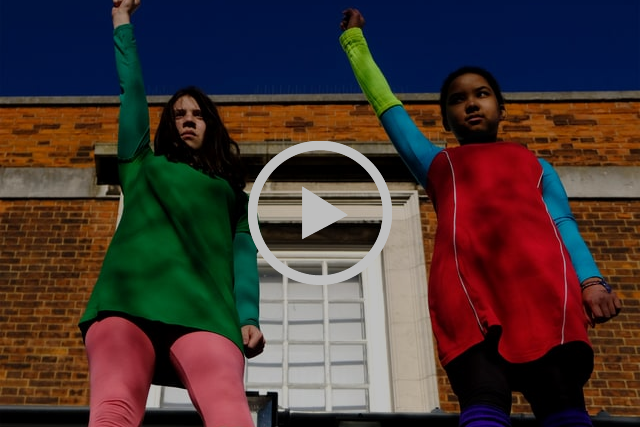 March 8, International Womens Day, saw the end of the first stage of our theatre project looking at the history of the women’s vote at Parliament Hill School in Camden. 40 Y9 students from the school devised and presented a promenade performance celebrating different forms of activism seen in the women’s movement over the last 100 years. An exhibition documenting the project and showcasing creative work by the students will be held at Rich Mix throughout June – see www.scarabeus.co.uk and our Facebook page for more details. Supported by Heritage Lottery Fund. This term we began delivery of our EXODUS – Take Part project focusing on migrants and refugees at Queens Park Community School in Brent. 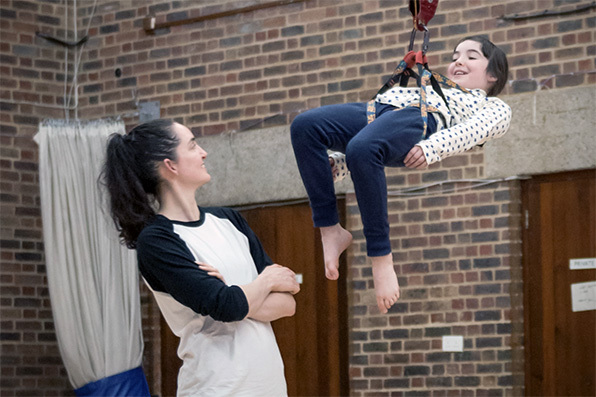 We’ll be continuing delivery at three further schools in London this summer – take a look at our Facebook page for more updates as we continue this project! Thanks to our funders, Johns Lyons Charity and Stavros Niarkos Foundation, for their support. 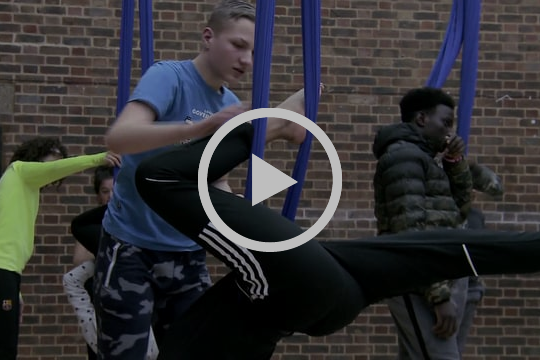 Our Flying Into Physics project went to Leicester this term, where we worked with four schools to continue testing a new approach to teaching science in primary schools using aerial skills to embody physical principles. This month we’ve been delivering workshops on the same theme closer to home with Eleanor Palmer School. Following this successful pilot we’re now in discussion with schools across the UK and our funder, Paul Hamlyn Foundation, to look at the possibility of rolling out Flying Into Physics on a larger scale next year. Take a look at www.scarabeus.co.uk for more information and a video. Data protection laws are changing, and we want to be sure that everyone on our mailing list wants to hear from us. If it’s been a while since you subscribed, please click here to confirm you’d still like to receive emails from us. We will not pass on your the contents of our mailing list to anyone else. Please see our website for a full privacy statement. ‹ international arts news: Speak up and Join us at EXplore 2018!